Strawberry fruit Latin name is derived from the word Fragaria Fragrance or aroma. 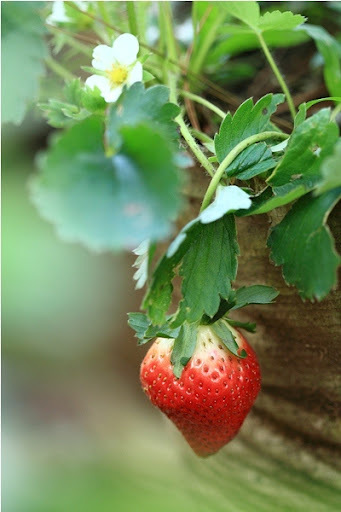 Strawberry own name supposedly derived from straw or straw is used as the base of strawberry fruit. 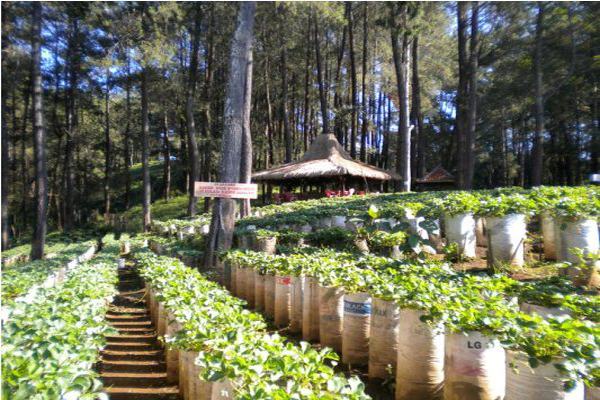 If you go to Bandung Tangkuban Perahu, you can stop by the garden strawberry in Terminal Lembang Grafika Tourism at Cikole. Entrance to the garden strawberry Terminal Grafika Cikole only Rp. 5,000 and get 1 cup strawberry juice for free. Strawberry farm in Lembang is educational tours where children and families can learn to love nature and recognize the benefits that exist in nature. For group visitors from schools, Terminal Grafika Cikole offers learning programs that exist in the strawberry plant Outbound Package Children. At strawberry garden in Lembang, visitors can see up close some East tail deer that are kept in captivity. 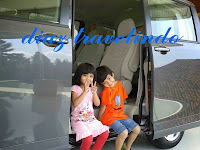 In the garden strawberry visitors Lembang is also spoiled by the presence of several new rides including fishing, catch a ball from a rope bridge over a pond, and a few other games which is very exciting to try.